Taphonomic damage can be assessed, even with remains recovered from the ocean. 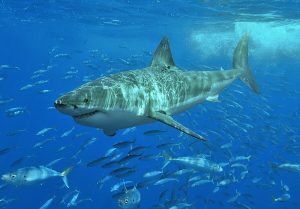 Scientist are using the feeding habits of sharks to identify if a crime has been committed. Read more of the article published in Forensic Magazine. eForensics provides interactive environment using real cold cases as examples for forensic anthropology techniques. If you have problems using this site, or have other questions, please feel free to contact us. Images and content are created by faculty, staff, and students at the University of Texas. All photographs, images, and text are copyrighted by eForensics, John Kappelman, or the University of Texas at Austin, and licensed by Creative Commons. Reproduction or recreation is permitted under not for profit circumstances and enterprises with proper attribution to eSkeletons.org.